The wheels arrived today and I unpacked them.....and they look pretty darn good. Doc Chris Sabatino with the idea that he would work on it and upgrade its condition. I have never met anyone who has more knowledge and expertise in the field. Doc knows more about the 1959 Cadillac then anyone. He's omnipotent when it comes to Cadillacs! The "job" he did was simply outstanding: renovating the dashboard, designing a brand new trunk, replacing the horn(ring),wiper(motor),etc. He really knows what he's doing. All prices were competitively quoted on; making sure I got quality parts, but not over paying for them. Doc Sabatino is a professional business man with integrity. If he says something, you can count on it. When I purchase another car, Doc will be the first person I speak to. 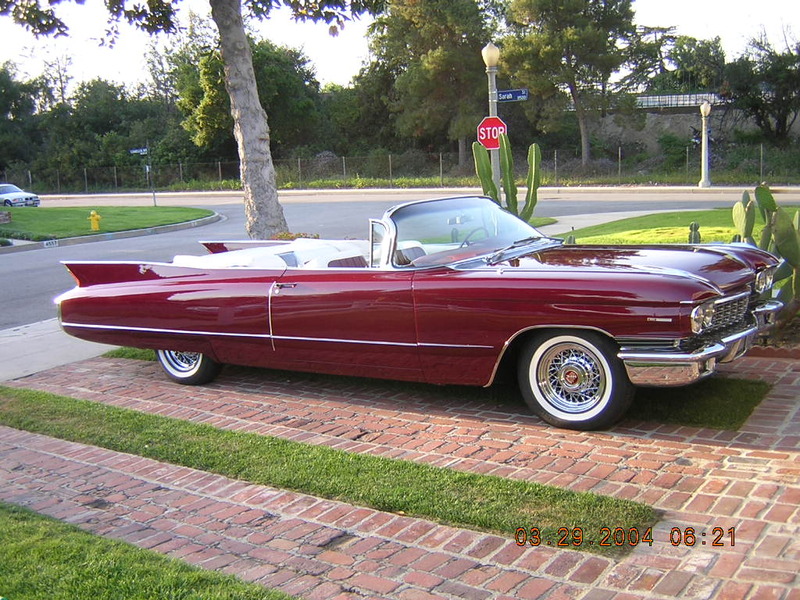 I recently purchased a 1959 Cadillac with no previous experience of the marque( Not purchased from Doc Sab). Predictably, the vehicle came with many more problems than I could ever have imagined. During the process of the purchase I found Chris' web site and was impressed with his obvious enthusiasm for the cars and his knowledge and experience in restoring them. After a number of exchanges of Emails, I decided to entrust the restoration process to him. Since that time, Chris has shown himself to be a highly motivated individual, eager to complete the work in good time but unwilling to compromise on the quality. Of particular note is his unwillingness to spend money without prior consultation. In some cases, when work has been more than estimated, Chris has eaten into his own resources to get it done. On each problem I have been presented with the various options and then been left with the decision on how far I want to go. Throughout the process I have been kept reguarly updated on the progress of the funds and the work. I have not yet seen the car but will be doing so shortly and am greatly looking forward to both this event and finally receiving my fully restored vehicle. If all goes to plan, a negative purchasing experience will have been turned into a positive end result thanks to the work of Chris. As a friend,(former) workout partner, (former) room mate and like a brother, I can attest to the integrity and work ethics Chris has to offer. Many people choose to do something they "SPECIALIZE" in. It can be said that Chris "SPECIALIZES" in all that he does. It's with a GREAT SENSE of PRIDE, LOVE AND PASSION that he puts into whatever he sets his mind on. He never does anything half assed. It's ALL or NOTHING! He will settle for nothing less than perfection. Having known him now going on 22 years, I have witnessed many if not all of his achievements. For inquiries, feel free to contact me. I want to let everyone who is reading this know...That everything I value in life....comes down to personal integrity...without it we have NOTHING. I am a man of my word. I believe in the power of the words we speak...and what a handshake means when it is extended. I live by my word...and take HUGE pride in my work and in the feeling of accomplisment from delivering what I said I would do. I never take advantage of a trusting relationship....These references are just a few of the many....and I thank them for sharing their views about me...with you. I have known Christopher Sabatino, D.C. for the past year. 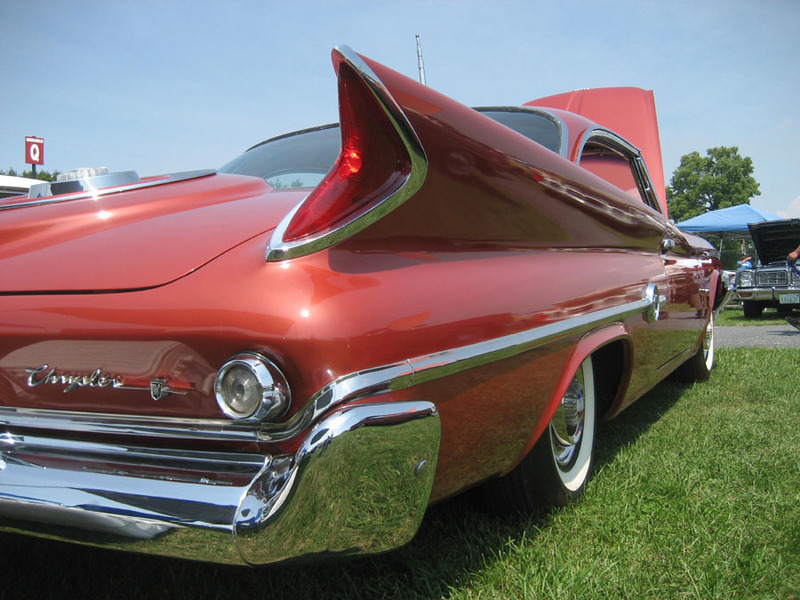 We met through his "Cadillac World" website, sharing a common interest in vintage, finned Cadillacs. This led me to a personal meeting with Doc Sab, at his location in Southern California. In addition to being a Chiropractor myself, I have been involved in automotive/motorcycle restoration and customizing for more than 3 decades. 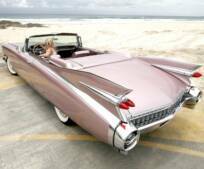 "After having searched for a rare 1959 Cadillac Eldorado Seville chrome ornament via Hemmings Parts Service without success, I tried my luck approaching a number of specialised Cadillac parts suppliers. Christopher Sabatino was the first one to reply within hours. My further questions were answered immediately and I received some pictures via e-mail. Again my electronic money remittance was confirmed by him within hours and the part was promptly shipped. Everything ran like clockwork and was as efficient and reliable as Swiss Private Banking. 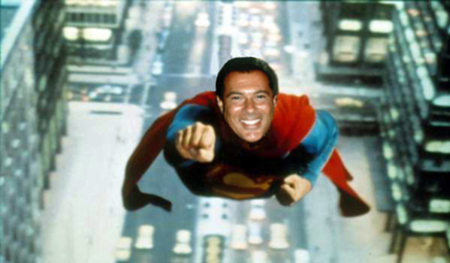 Whenever in need for some "tricky" parts, Christopher Sabatino is the right address!" it's not every day that I take time to thank someone, but it's not every day that someone represents themself and their product as you have. The car is exactly as you described and just what I wanted. I must admit I was a little afraid to buy a car from someone 3000 miles away, sight unseen. But, you made me a believer that there are people who trully take their reputation seriously. Honesty isn't just a word with you but a way of life. I recently got screwed on a Corvette and lost a lot of confidence in my fellow man. You've helped me regain that confidence and for that, I thank you. You're a real gentleman and you'll go a long way in life I'm sure. Thanks again for the car of my dreams and keep up the great emails for sure!!!!!!!! A FORMER CAR OWNED BY DOC SAB. I want to report on my dealings with Dr. Chris Sabatino on my recent purchase of an auto from him. 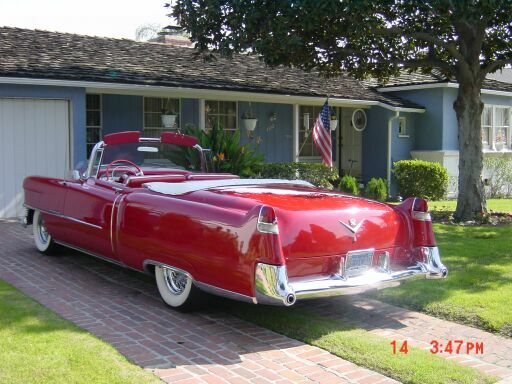 I first contacted Chris after noticing a 1954 Cadillac for sale on ebay. I was interested in the car. I had purchased 4 previous autos through ebay and had enjoyed good experiences for the most part. I contacted Chris and we spoke on the phone. From our conversation, we felt each other out and both gained confidence in each other. Based on my telephone conversation with Chris, I wired a large sum of money to him within a few hours and arranged to travel to California to pick up the car about a week later. When I arrived in California, the car was as described, probably better. Chris had done everything to make the car ready for it's 1000 mile journey. The trip home was trouble free and I have had no required repairs to this vehicle since purchase. Everything worked as described and there were no disappointments with the transaction.This car is a "keeper" and wins trophies at every car event that I enter it into. I have maintained contact with Chris and he is now building me a Cadillac sofa to match the car. Chris is a man of his word, a rare thing these days, and I would always consider Chris first if I wished to purchase another classic Cadillac. After having searched high and low for almost a year for the right Caddy....I feel so fortunate to have located you. In all that time, I never met anyone with as much integrity as well as dedication to there business and ideals. 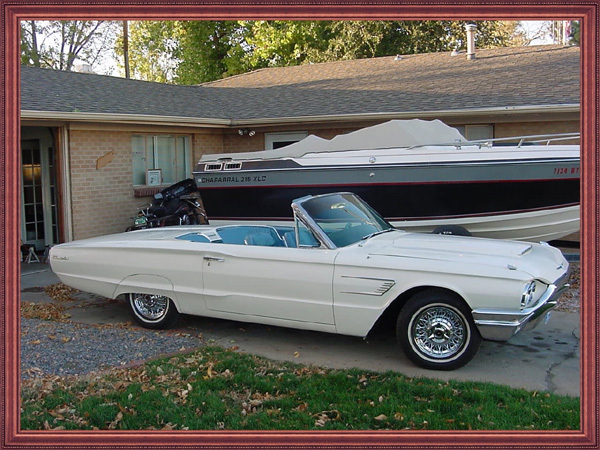 When I saw Chris' own 1964 Cadillac Convertible,I knew immediately I wanted the car. 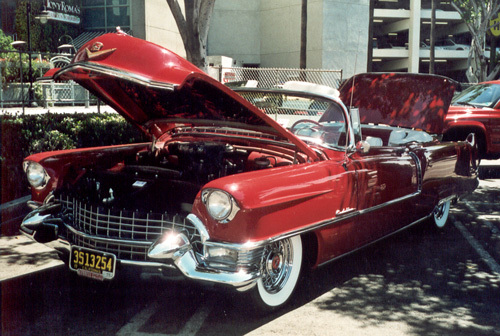 His dedication, keen sense of pride in his work, and the love and passion for Cadillacs ( this one in particular! ) was obvious. Chris, my experience was extremely positive and I would be more than happy to recommend you and/or your work to all those who want to contact me. Doc Sab is MY best friend. Only the most awesome gentleman would ever construct such a wonderful website (www.CadillacWorld.tv) with so many useful tools. Every Cadillac I will ever own, Doc Sab will somehow be tied to it's restoration. If it wasn't for my Cadillac, I don't think my wife would've married me. So, I attest that Doc helped me find my beautiful wife. Needless to say I'll always own at least one sweet ride. My name is Philip Maurice Hayes. I work extensively in the Motion Picture and Entertainment Industry both in Canada and in The States....and have done so for nearly 20 years. My wife Maria Louisa and I met Doc Sab in Los Angeles through our mutual interest in Classic American cars...in particular, Cadillacs. We have since become extremely close with Chris and consider him a first class friend and individual. 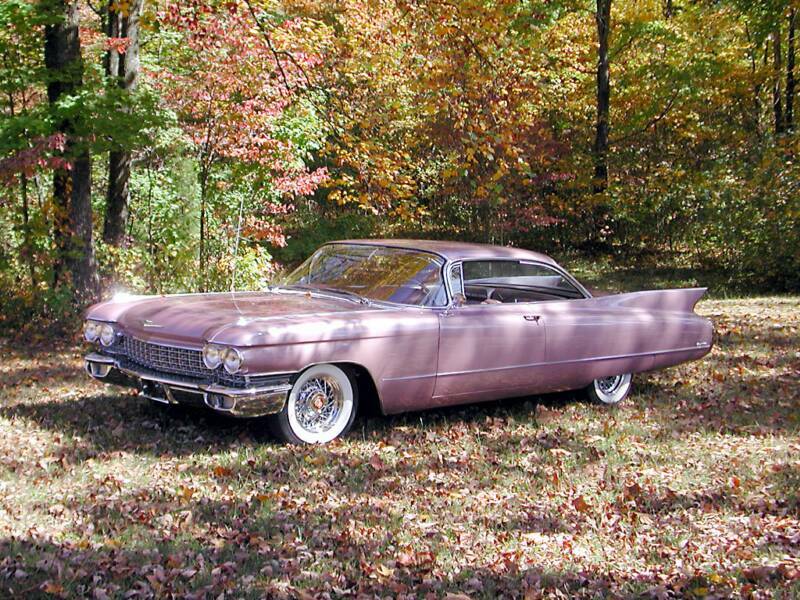 As the owner of a pristine 1960 Cadillac Coupe, I have often relied on Chris' expert advice and referrals on matters of maintanence and repair. Should you require any further information and or details you may contact me at the following email address. 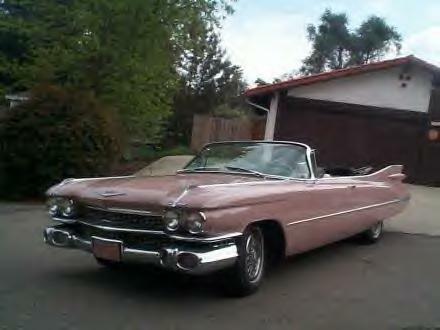 Thank you for the fabulous job you did restoring my 1969 Cadillac Deville Convertible. Everywhere I drive my Cadi, people stop and gawk. I even took it to my Cadillac dealer and all the mechanics came out from their work bays and surrounded the car, each giving one compliment after another. It is extremely difficult to make a long black car look straight, but your body shop did a wonderful job. They cut out rusty metal and leaded in the new metal. Very few shops do this kind of work anymore. It is the straightest restored black Cadillac I have seen. The interior is gorgeous. We both thought the color combination, black piping and black buttons on white leather would be flashy, but it really looks beautiful and you would guess it was a factory option. Everyone who sees the car compliments the interior job. The chrome is magnificent. You had pot metal parts repaired that we both thought were hopeless. There is no pitting on the new chrome. The wheels you picked out make the car.... just that more special, and the pinstripping is first class and really accentuates the car lines. You finished your work on the car in half the time you originally promised without sacrificing quality for speed. I was impressed that you kept in constant touch with me by both the internet and telephone. You sent pictures of work in progress. You kept within the budget and didn't spend any additional money without first clearing the expense with me first. All in all, my experience with you was outstanding! I will have you restore my next car. SPower4@sbcglobal.net click to see the restoration!! When my sister saw the car she said, " I wish he did plastic surgery, because I want him to do my face!" AND...They did!!! His wife loved his Cadillac so much...as he had won so many car show events with his...that she bought a gorgeous 1955 Cadillac, Series 62 Convertible that had been just restored by me, for herself. ALSO A PERSONAL CAR. well, today we had both Cadillacs at the car show. Jim's '54 took second place, whereas my '55 took not only first place, but best restored as well !" 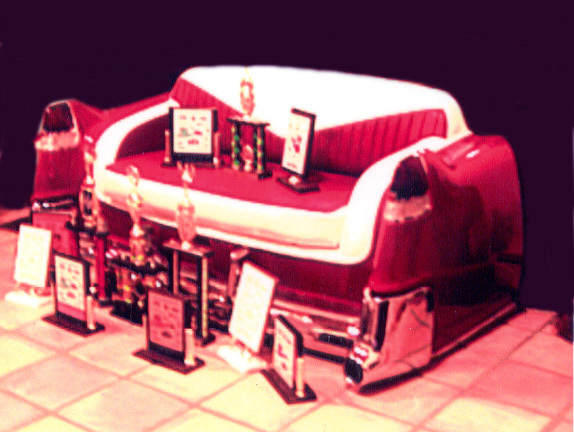 As a result of their wins...they decided to commision me to build them a 54/55 Cadillac Couch... to match their cars....and I did!!! I want to thank you for the EXCELLENT service that you and your company provided. As you know, being a single mom and on a limited income, I was a nervous wreck about making this purchase online and using a money order. Now that it is complete, I am wondering why I worried! You are one of the most honest and helpful people I have ever met. The center caps look great and it will be a wonderful surpise for my son on his birthday. Thank you for all that you did for me and my son. Several weeks ago, I sent you an email inquiring about wire wheels for my 1960 Caddy Convertible that you were advertising over your web site. We spoke on the phone at which time you gave me a price, then you gave me an option of having them shipped or picking them up in person, and lastly, you gave me your assurance that I will be absolutely blown away by the beauty and quality of the wheels. As you know, I am a Police Officer, so to say I am a skeptic would be an understatement. You fueled my skepticism even more when you phoned me less than 6 hours later and told me that your supplier delivered my wheels to you and they were in your garage ready to go. So far it was all too good to be true. That being said, I chose to make the 4 hour round trip to pick them up in person. Within minutes of our meeting, I quickly drew a couple of conclusions. I was dealing with a professional; someone I call a "Caddyologist". 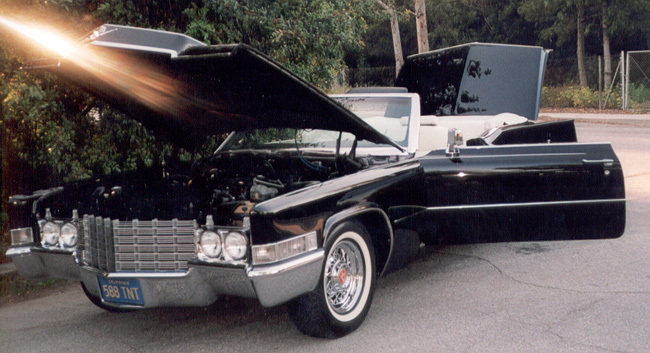 Your gorgeous collection of Cadillacs, your attention to detail throughout your beautiful home and your devotion to the art of collecting Caddy memorabilia are all a testament to a man who not only talks the talk, but walks the walk. Yeah Doc, you were right, I was absolutely blown away by the quality and beauty of these wheels, but what really added the crowning touch to our whole encounter was coming to the realization that I had just concluded doing business with a hell-of-a-nice-guy. Addendum: "I am truly happy with those wheels. a pleasure doing business with you. I'll send you a photo of the car when I get them installed. Thanks again Chris. 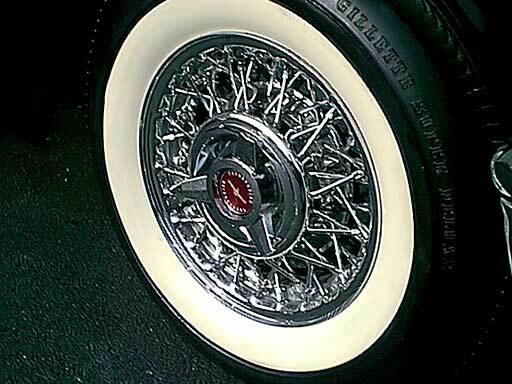 I received the Cadillac chrome wire wheels for my 63, and they look awesome. The chrome is strong and sharp and the quality is top notch. I was impressed with the wheels as they were better than I was anticipating. Thank you for the quick ship and excellent product. 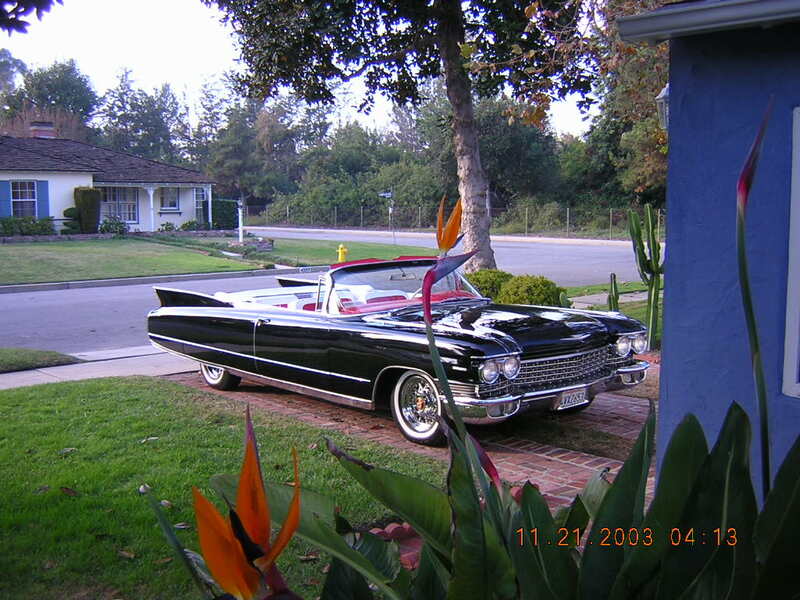 This is to inform you that I am very happy with the services that you provide, and the quality of the Kelsey Hayes wire wheels that I recently acquired from you for my 1964 Cadillac de Ville convertible. I purchased some art work, ( I mean wire wheels ) from Dr.Christopher Sabatino. I cannot begin to tell you how terrific these wheels look in person!! I was skeptical at first. I was worried about wiring money to this guy in California. We have all heard about people who have been taken on the internet. I had poor Chris send me countless photos of the wheels. I must have emailed him 50 times through out the process from order to finish. The wheels came in ahead of schedule. They are breathtaking! I went to my local shop to have the wheels installed and ran into some problems. I called Chris. He was all over it. He called several people trying to figure out my problem. It all came down to someone had changed out my lug nuts for much bigger ones, and when we switched them out, things were fine. Chris went above and beyond the call of duty. He could have just sold me the wheels, and said you mounted them, they're your problem. The bottom line is: Chris is the most honest, straight forward guy you could do business with. Not only do I have an awesome looking car now, I now have a new awesome friend in Hollywood! Please feel free to call me for a reference. Thanx for the excellent business transaction....and super fast shipping. There was a problem with one of the parts in the shipping order.....However, you made it right by me fast!! ....and that's a man I want to do business with! I highly recommend this company for future business to anyone that wants a top of the line wheel! Mine are mounted and as the add says " they look like gems". The car looks very classy and the wheels look original! I love them! I've been getting compliments on them since having them mounted. They are "Buetousmaximous"!!! Thanx for the frequent email updates as well! HAPPY? I am Fu_kin' Estatic! 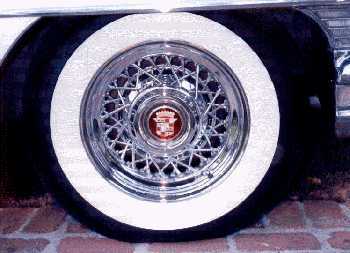 I purchased a set of your great wire wheels for my 1969 Cadillac Deville Convertible. I installed them with wide whites and the car looks like a million. Ordering from you was a pleasure,you kept me informed every step of the way and the car never looked better. I am very happy for dealing with an honest man, and I am sure we will do business again in the future. Chris Sabatino is a master at what he does. He simply knows Cadillacs. I bought a 1960 Series 62 Convertible that was a complete mess. I didn't know where to begin. Luckily, I found Chris. He worked closely with me to put together a realistic plan of attack. He didn't pull punches on what was or wasn't possible. At all times, he was conscious of my budget, and the limitations of reality. Most importantly, Chris did what he said he would do. Like a master general contractor running a complex construction job, Chris supervised all aspects of my restoration job. He finished it on time and on budget, and the result far exceeded my expectations. Everything promised was delivered and more... because he was more interested in making the car come out right than making a profit, The results are phenomenal. In addition, Chris took the time to explain every step of the process, providing daily updates and photos. There was no mystery in where my car stood at any given point. I would highly recommend Doc Sab to anyone who needs work on a classic Cadillac. Thanks Chris. Chris is one of the most honest men on the planet. He handled my car and my money very well...conscientously. He is very good at restorations, and cares about the details that most people miss. He did his best to solve all types of problems....and to finish the job perfectly, no matter how much effort it took. He doesn't do things half way....yet his fees were so fair...and discussed prior to any work being started. 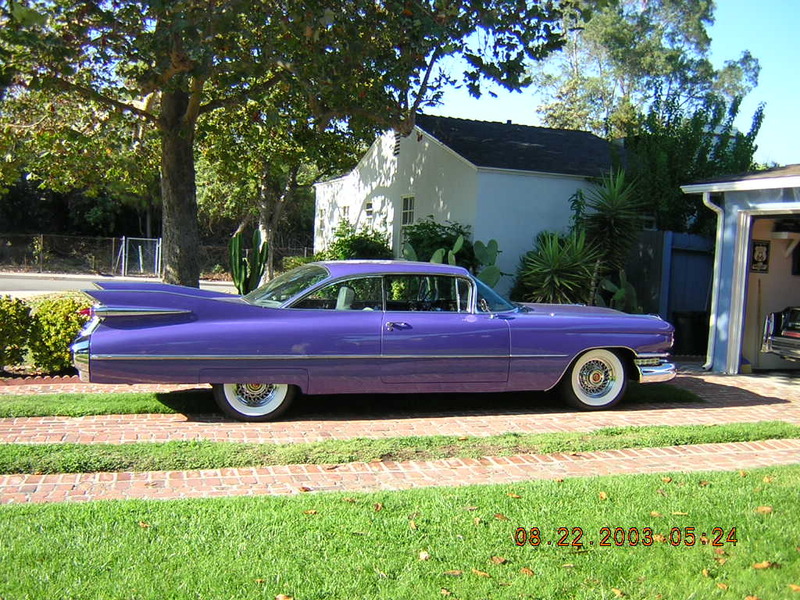 I love my purple 59 Cadillac Coupe Deville very much, and will keep it forever! I am willing to share my experience with any one who reads this. I love my Caddy...I have already spent many hours sitting in front of it (on the Cadillac couch you also made for me) just staring at it. My wife says..."Oh My God...So Pretty!!"... " It's a Bad Boy"...."Extraordinary"...."Nice Color"...."Nice Interior"...."What a big Car"..."unbelievable"...."The Batman Car". The Thunderbird wheels arrived...Everything came through perfectly with no damage. Even the boxes looked good. I can't wait to see them on the car, but it will be a while because the Thunderbird is still in the resto shop. When I finish the car I will snd you a photo. Thanks for the excellent service. I also want you all to know that once you do business with the Doc...you will find out that you have not only met an honest...honorable man....but also a good friend. Doc, I want you to know that when I saw my car....YOU BROUGHT TEARS TO MY EYES!!! I can't thank you enough! "TBTTW".... Today Brooklyn Tomorrow The World! View Ed's restoration by clicking here! Chris, the T-bird wheels are in... and BEAUTIFUL! Can't wait to put them on and I haven't even picked up the car yet, nevermind restore it. You did an excellent job packing them. The boxes arrived in perfect condition! When asked...I'll let them know where I got them! I just wanted to send you a note to tell you that the wheels for my 1957 Thunderbird that I purchased from you, arrived today. All I can say about the quality and appearance is AMAZING. A person has to see them to believe them. Words cannot explain. Even the packaging of the wheels was super. They are just what you said they would be and more. It will be an honor to have them on my car. Thanx for the very fast shipping of the T-Bird wheels, these are by far the best spoked wheels I have seen. The finish is outstanding. As I told you, I put these on my 1956 Ford Fairlane rag and they look fantastic! 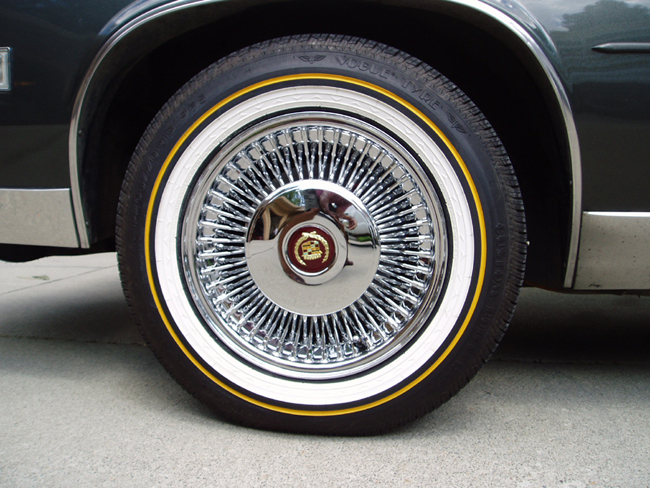 I recently purchased four wire spoke wheels for my 1984 Cadillac Eldorado from Doc Sab. Prior to this transaction I had checked junk yards all over America and the internet for replacement of one damaged wheel without success. To my complete delight, I talked to Doc Sab, who informed me, that the wheels could be manufactured, so from that point the ordering process began. Doc Sab was very thorough in getting the proper information to make sure the wheels would work on my car, and if not, and if not his return policy was to my satisfaction( we have an almost 0% return...Doc Sab). The end product was every bit as good or better than described. I am completely satisfied. This satisfied customeris extremely happy to recommend Doc Sabatino to any potential customer. He was honest and upfront with me throughout this transaction. I just got got home from a road trip in the Chrysler. And, when I got home my new wire rims that I ordeed from you were waiting for me! I can't believe they were on my porch within week from ordering them! Now I have to wait for the tires to come in..and when I get them on the car you'll know, I'll be sending some pictures! I have no idea where you get the energy to resore all those Caddy's to the 9's, have a Chiropracti practice and have time to help me get my rims. Just wait til you see those wire wheels and wide whites on my car! You are an amazing guy, best of luck to you. It took a very short time for you to prove the honesty and integrity you projected in our phone converstions, to come to reality after we met (The day I came to pick up the 57 Ford Skyliner). Your description of the car, if anything, was MINIMIZED. I made it home, as you can see, and despite the horrified L.A. traffic, you made it well worth the trip. Thank you for the way everything was handled. I'll try my best to maintain the car to your standards. I have known Chris Doc Sab Sabatino for about 5 years. He has always willingly shared his technical knowledge of 1959 and other Cadillacs, and has thus helped me to solve many problems with his good advice. He has also gone out of his way to help me locate some hard to obtain parts, and my business dealings with him have been without problems. I believe he takes pride in his work and represents any cars that he sell accurately. He sticks to his word. is an honest person with integrity and I don't have a problem in recommending him to anyone wishing to do business with him. 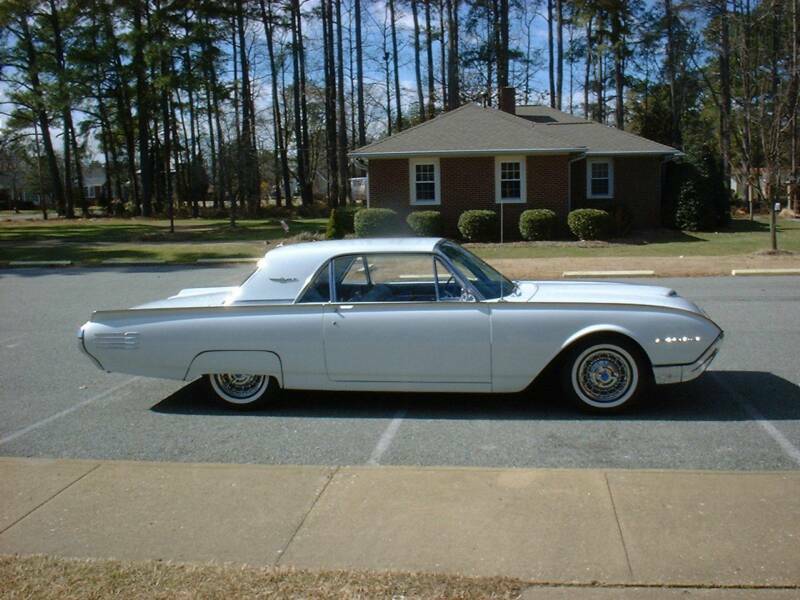 While trying to purchase wire spoke wheels for my 1957 Thunderbird, I ran across multiple listings. Trying to make sure all equipment purchased for the car was made in the USA was a difficult task. Finally, I saw Doc's ad in Ebay and gave him a call to ensure the wheels were what I wanted. He informed me that all parts were manufactured in the USA and were of the original Kelsey Hayes design to fit under the wheel wells on my car. Once I started dealing with Doc, The purchase of the wheels went very smoothly. it was a real pleasure to have the transaction go so well. My wheels arrived by common carrier in a very timely manner and they look beautiful. Thank you Doc for a very pleasant experience. I'm impressed! The wheels arrived today, Thursday, like you said. They are FANTASTIC!!! You really came through for me-- From my simple question, "will these wheels fit my Buick?" to a custom set that are outstanding, all within a few days and emails. Thank you for your patience with me and your excellent communication. Now I must shop for new tires as I can't put my used tires on those beautiful chrome spoke wheels. Here are some pictures of my 61 Thunderbird after installation of the wires I recently purchased, from you. 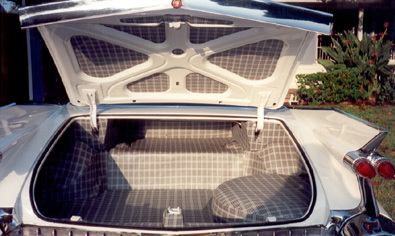 As you can see the wheels have added a great deal to my car, The craftmanship and attention to detail are unsurpassed. They are a tremendous addition to my pride and joy! If you can send me some brochures I will pass them out at the car shows and will steer some additional business your way. I am so pleased with these wheels, they are truly classics. Thanks again! Last monday I got the wire wheels at last. I have been waiting for them a long time. The overseas shipping is very slow, but they were flawless. My friend put the tires on today. B.F. Goodrich 235 x 15 x 78 with 2 7/8" W.W.W. They are just beautiful, have one in my living room for display for a while. Thank you very much for all the help you did shipping me a 5 pcs. set. there were four boxes waiting at my door when I arrived home from the offices yesterday. I just about had time to open one box before dinner, we took one of our granddaughters to dinner. This morning I opened the other 3. Chris, you are something else! These wheels, as well as the spinners are absolutely works or art! One was better then the next. Ya' know how this days we all hold our breath when we open something, and, that most people will lie, cheat and do whatever they can to rip off people. Well, as I opened each box and looked over the wheels, finish, chrome work -- little details -- the spinners -- how much care and quality when into every piece - I was amazed -- that all four where so perfect! Chris, you are indeed unique in these times. Thank you. I can't for the life of me understand how you can put out such craftsmanship at this price. Chris, as promised, I am sending this feedback regarding my recent purchase. The wheels were everything that I expected from a quality perspective. Delivery was made on time and the wheels arrived in great condition. I was especially pleased to see that they were double boxed for extra protection. Balancing was easy and in most cases took less than an ounce. Thanks once again for your attention and patience. 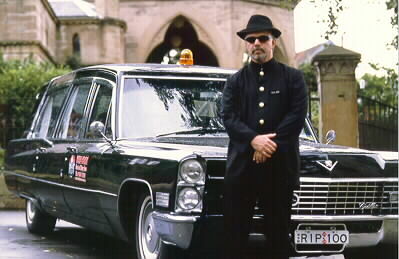 I have attached a photo of my vehicle for your use and would be very pleased if you would use it on your website. I have not put the wheels on yet but they look great with the spinners on them. I know that these will be the best looking wire wheels on a Cadillac in town. I appreciate the professional service you and your company has offered. When I had question they were answered promptly. 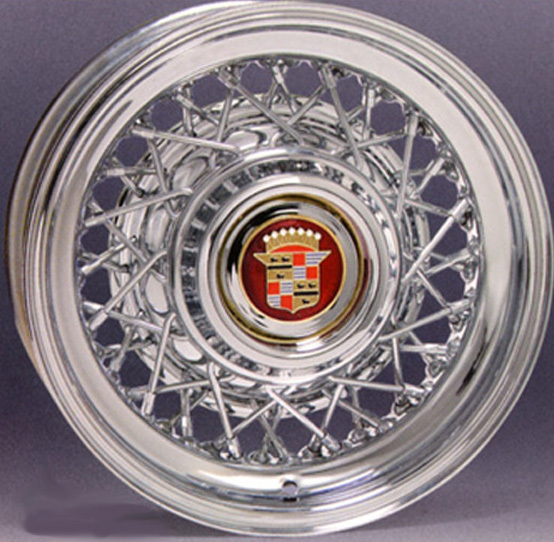 I would recommend "" Mac Daddy "" to anyone that wants wire wheels on their Cadillac. I have known Chris casually for some years now and I have found Chris to be unmatched in his passion, enthusiasm and love for Cadiillacs of the classic finned era. Further, he is respected and appreciated from all corners of the globe. 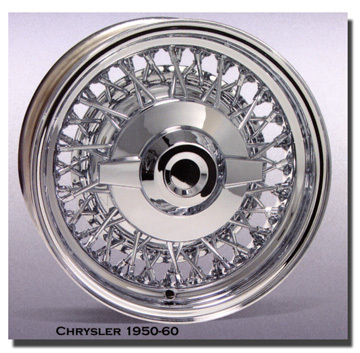 I personally have purchased chrome wire wheels from Chris earlier this year, and he went far beyond the call of duty in price and service, without request. 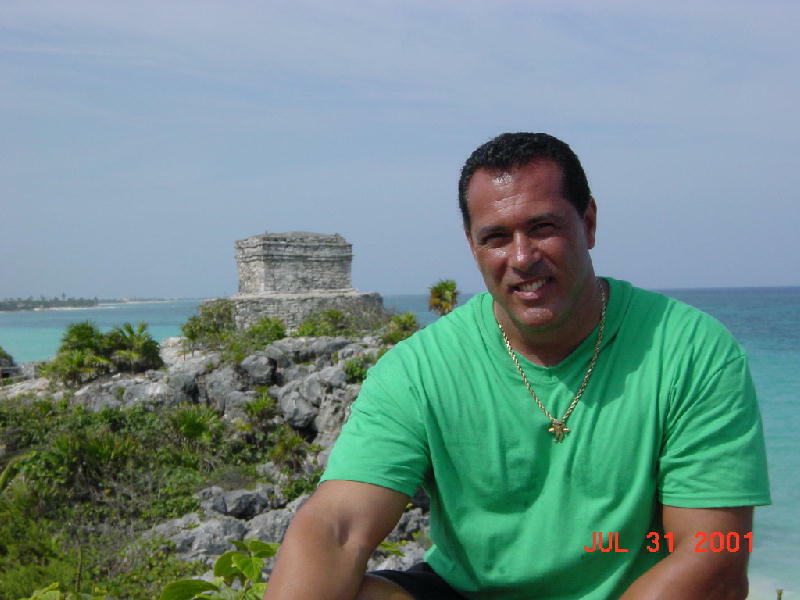 He is highly professional and has ethics any retail trader worldwide would envy. That's just Chris's way. Of all the many people and outlets I had at my disposal to offer or market my car, what option did I use? There was only one person who sprung to mine. 'Doc Sab'. I could have used ebay, this website, or various big name auction houses. But my trust in Chris's professionalism led me to him first. helpful', 'friendly', 'passionate', 'professional', 'ethical',....just a few that come to mind. March 16, 2014 Hello, I am Jack Kennard and I am pleased to tell you about my experience with Dr. Chris ( DOC SAB ) Sabatino. 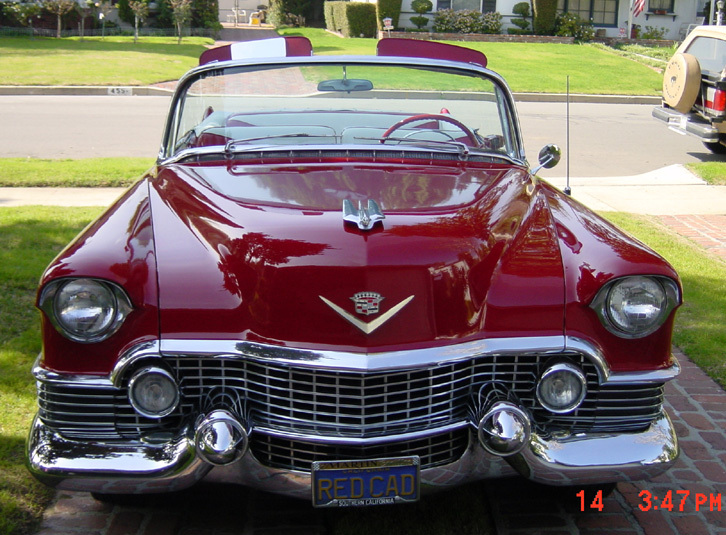 Chis found, restored and sold me a 1959 Cadillac Series 62 red Convertible. This happened during the last six months of 2013 and into early 2014. On the first of August, I saw a photo of one of Doc Sab’s Cadillacs and I sent him an email. I thought perhaps the picture showed my father-in-law’s car which he had sold some years ago which I had been looking to find. Chris and I had never communicated before and I wrote, “My father in law, Lew Pyle, of PA, sold a similar remarkable car several years back. Maybe this was the one - not saying it was - maybe. Do you still have the car? Do you have any suggestions on where another in excellent condition might be? I am aware this is a very special car!” Chris wrote me back saying the car in question was sold but he had recently found another. 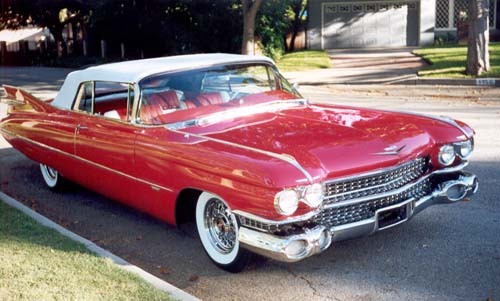 “I have an original ‘59 Cadillac convertible NOT restored yet. 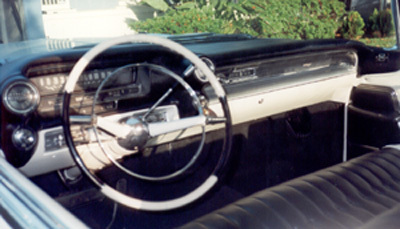 A Hollywood car. This is not a dolled up rusty car.” That was the beginning for Chris and me. 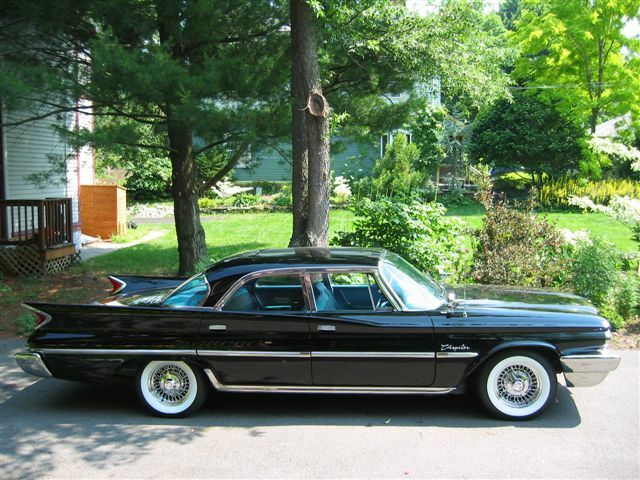 I was naïve in at least one respect, and probably others: I had no idea how risky and dangerous it is to be a buyer of these specific Cadillac ‘59 cars unless you know what you are doing and with whom you are dealing. I had faith in Chris. As I was to learn, West Coast unrusted originals are impossibly rare... and East coast cars often are pieced together Junkers. Canadian sourced cars are faked by a well-known forgerer and other cars from certain states are also forged. These ‘59’s are iconic, valuable and special cars and that is why it's hard to find any legitimate car let alone a real convertible. You have to be smart when buying a ‘59. So you see I could have been made a fool - and parted from significant money. I was not made a fool however and turned out never to be in danger of that with Chris. Here is what I learned. You can be confident that when Chris Sabatino gets a car, he knows where it came from and documents the progress of restoration. This car had two owners before Chris got it in 2013. He got a copy of the GM build sheet from when this car was made and saw it was shipped to an LA dealership. It was then bought by a local man with connections sufficient to secure an early CA vanity plate. He later sold the car to two brothers and then the car was parked in 1981, right after a big parade. The second owners kept it registered until 1991 or 1993… just in case, but the car sat. They had started to do brake work but they never completed it. So for 20 years the car languished alone in backyard weeds behind a fence in a suburb of LA. Chris gave this restoration his all and maintained the highest standards. A massive file of photos from Chris documents the story as the car began its resurrection.